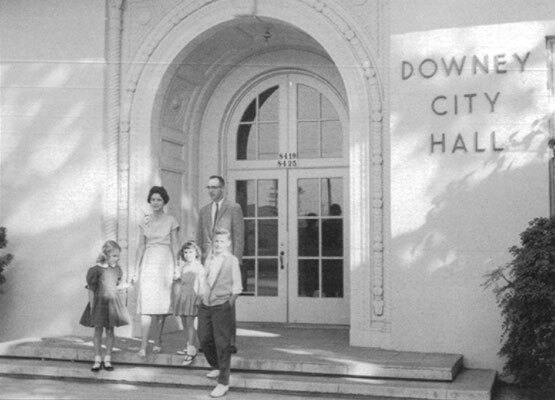 I learned quite a bit on Saturday's Downtown Downey Historical Walking Tour, which I'll show you over the next week or so. In the case of this arch, which we first wrote about (see This old arch) back when DDP was very young, we didn't know yet about the Downey Conservancy or the Downey Historical Society, both of which have since been a source of historical pictures for us. 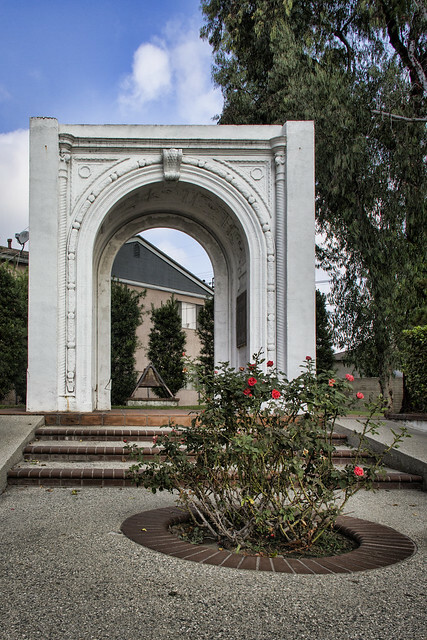 This arch served as the main entrance for the Downey Grammar School from 1916-1956 and for the first Downey City Hall from 1957-1984. It was moved from 8524 2nd Street to this Civic Center location on December 6, 1984, and was refurbished and preserved. The arch sits behind the Downey Police Station.